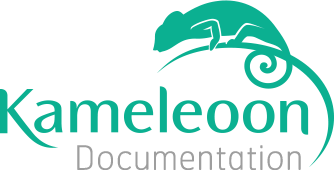 To begin, log in to your personal account on https://back-office.kameleoon.com and access the “My websites”. For the website of your choice, click on “Reporting tool(s) selected” in the “Reporting” part. Then, click on the Adobe Analytics logo to add this tool. Il est nécessaire de créer une variable de conversion, aussi appelée eVar, qui sera utilisée par Kameleoon pour transférer les données de votre test A/B vers Adobe Analytics. Pour ce faire, connectez-vous à votre espace Adobe Analytics. On your Adobe Analytics, go to Admin, then Report Suites. Then, select a report suite. On the conversion variables page, click on Add new to add an eVar unused to the report suites. Warning: the variable above is noted s in the processOmniture() process must be your Omniture object. By default, this variable is named s.
When you are done with these steps, you can use Adobe Analytics as reporting tool. When you have created your test in the editor, click on the “Test finalizer” button. Then, select Adobe Analytics in the reporting tools selection (step 3). In the field “Custom variable (eVar), choose the eVar that you have created in your Adobe Analytics account. The results of your test will know be pushed into Adobe Analytics solution.